The Black Moods – Welcome Home! This is a SPECIAL ENGAGEMENT SHOW, it will SELL OUT!! 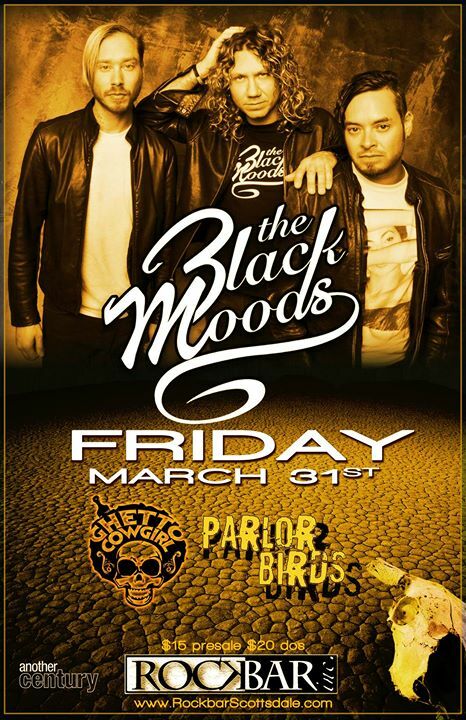 The Black Moods are a 3-piece rock outfit hailing from Tempe, Arizona, by way of the Missouri Ozarks. This band is bringing a new level of heat out of the Sonora desert. Led by one of the most electric front men/guitarists in music today. The Black Moods bring to the world what rock music has been missing for quite some time – PURE, EFFORTLESS TALENT. The band’s live show is filled with high energy, infectious guitar solos and attitude that can keep the crowds’ attention for hours. 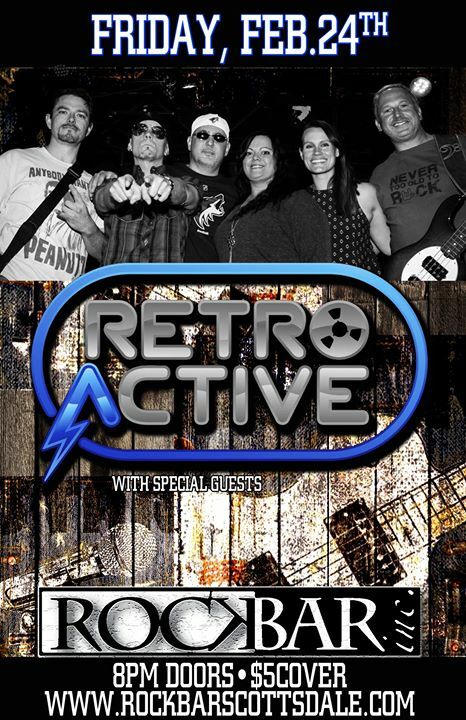 Having received acclaimed praise from fans and critics alike as equal parts natural talent and live performance superstars, the group delivers powerful guitar riffs, melodic bass and drum beats that make your heart pound like a kick drum. Fresh out of the studio with producers Kenny Carkeet (AWOLNATION) and Jim Kaufman (Helmet, Opiate for the Masses), The Black Moods have been touring since their debut album was released in April 2012. 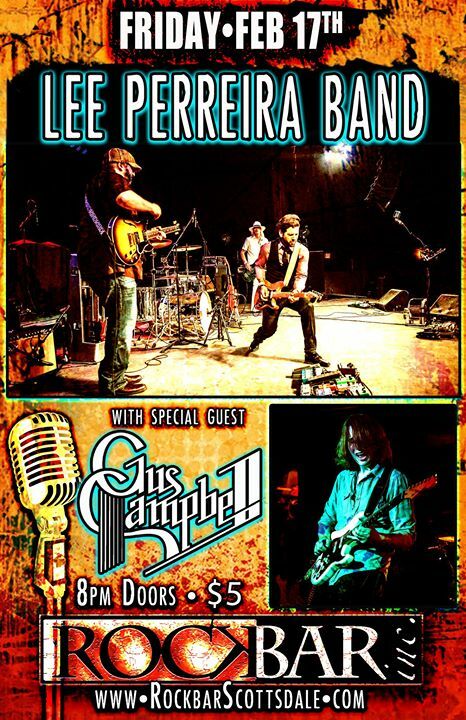 Don’t miss your chance to see this band live and get your own personal glimpse of rock & roll history in the making. 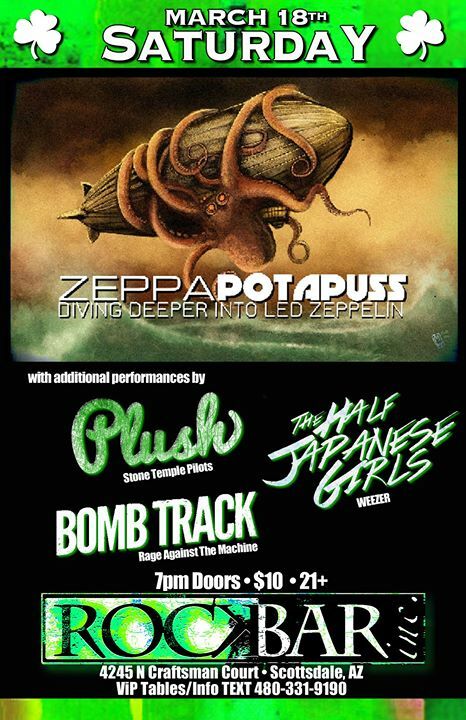 St.Patty’s HangOver Tribute Night with Zeppapotapuss! 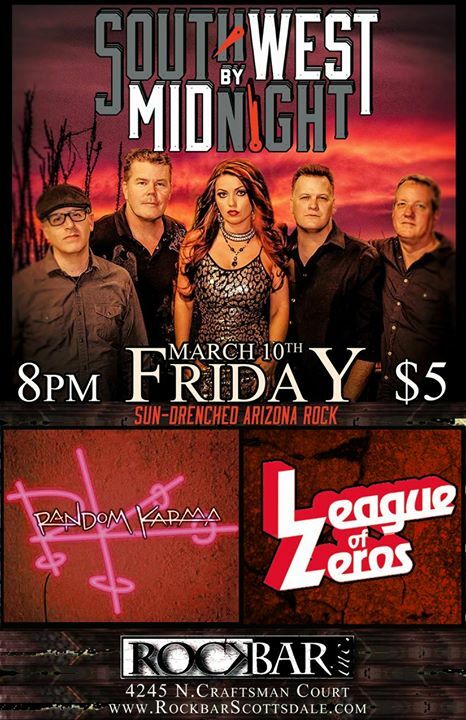 Southwest By Midnight, Random Karma, & League Of Zeros! 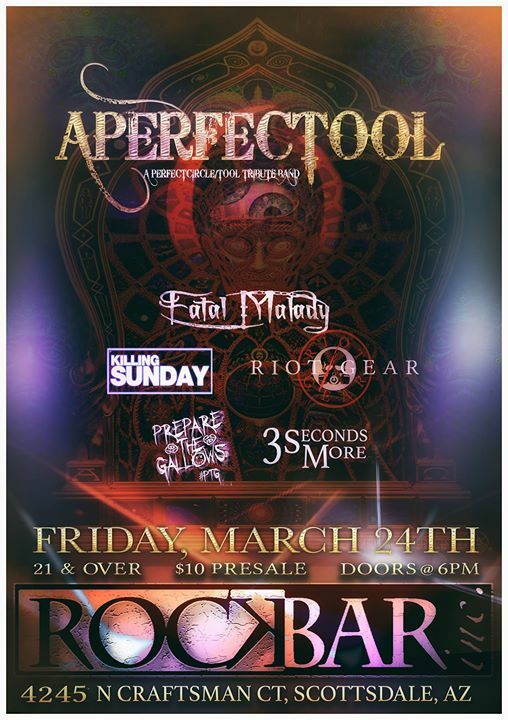 PHX!! Riot Night is back with our very first SUNDAY FUNDAY edition of Rage Against the Mainstream! with Dawn Awaits, and Painted Bones. Only $5 at the door! 21+ 8pm doors, 8:30 music. 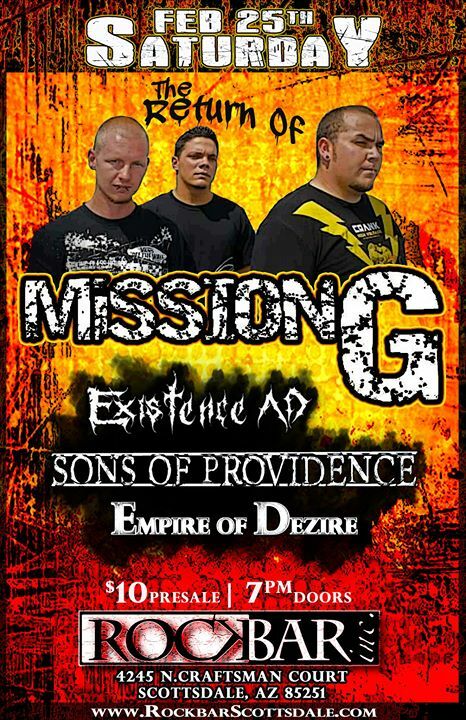 The Return Of: Mission G at Rockbar! 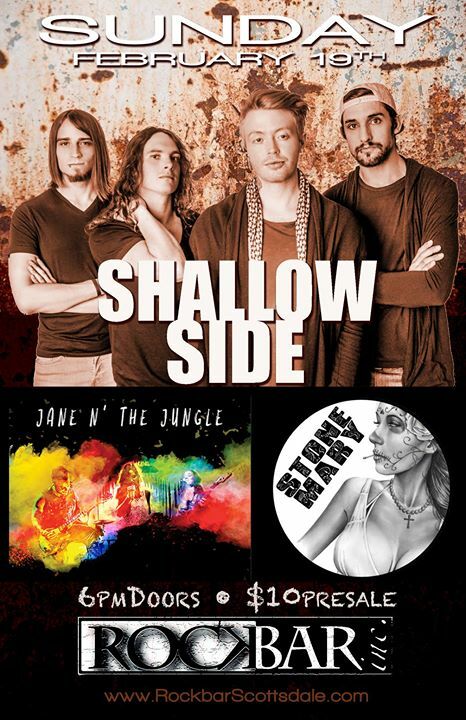 Shallow Side is a rock band through and through. Combining the driving rhythms that push the core of pop music with aggressive guitar work, carefully constructed bass passages, and a voice that smashes into focus atop the platform laid down by the music, Shallow Side has crafted a new sound with the same “no holds barred” attitude that has kept rock n roll alive and kicking since its inception.